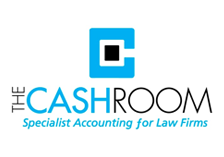 The Cashroom provides services to a Law Firm, cashier services, management accounting and payroll. Your firm may only want to use one of these services or all three. The Cashroom provides all the legal cashier services typically provided to a firm of solicitors; the difference is that “your” cashiers are employed by us and work remotely from our offices. Amongst many other things, we maintain all books and records, pay suppliers, reconcile the bank accounts on a daily basis, perform day and month end routines, submit your VAT return, and ensure full compliance with the Solicitors Accounts Rules. Management Accounts and Management Information provide the information you need to run your business. Budgets, cash flow projections and monthly management accounts are crucial to knowing where you are, and predicting where you’re going. The Cashroom will take care of all aspects of running your payroll, including all statutory payments, student loans, pensions, attachments and any other payments and deductions. Our dedicated Payroll specialists will also administer your ‘auto-enrolment’ / workplace Pension in accordance with the regulations. Since our involvement with LEAP & Xero in 2014, our Accounts training has provided a great opportunity to showcase the skills of our Legal Accounts professionals. The greatest recommendation of all being that when we walk away from the training, the firm trusts and respects the judgement of the legal accounts trainers so much that they make that call and ask us to take care of their cashiering for them. We don’t offer a one size fits all cashiering service, as we find each firm has different requirements. Some require complete posting, reconciliation and management accounts services, whilst others just want a rubber stamp review of internal reconciliations or even a year end check-up. We employ senior cashiers and ILFM qualified individuals, and the team is headed up by Chartered Accountant and Managing Director, Nicola Moore-Miller. As well as the day to day cashiering, we have found that the “change event” that is the migration to a new Practice Management System such as LEAP, often results in some time critical accounting projects. One of the services we have found to be very popular is our “Accounts Rescue” service. This can involve bringing a backlog of accounts up to date, reconciling complex balances which have become unwieldy over time and also migration anomalies which can result pre or post data conversion. Our specialist legal sector team helps law firms to become better businesses in a systematically proactive way. As one of the very few accountants with a dedicated legal sector team, we provide expert advice and support law firms on a strategic and consultancy basis as well as compliance in a way that other firms cannot. 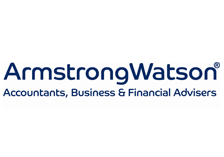 Armstrong Watson are Xero’s largest UK accounting partners and hold the accolade of being a Xero Platinum Partner.Legal Sector Specialists are available at all 16 of our offices, serving legal sector clients the length and breadth of the UK. 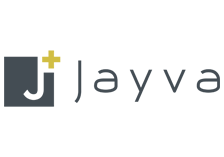 Find out more here about our endorsement by the Law Society. We're proud to have won six national awards but what really matters to us is building the long-term relationships our clients are looking for and giving them the very best advice. Our independence and 90-strong team mean we're well placed to deliver on our promises and we believe it says a lot that the majority of our clients are referred to us by existing clients and professional contacts. 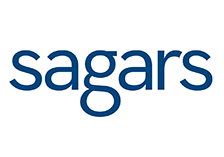 The Sagars legal sector team was established more than a decade ago and now supports over 40 law firms with solicitors’ accounts rules audits, COFA responsibilities, financial benchmarking, cashflow management, interim financial management and VAT advice. We’re particularly experienced in guiding our clients through succession planning, re-structuring, mergers & acquisitions and business sale activity. We are a leader in cloud accounting – a QuickBooks Platinum partner, the highest ranked Xero Platinum Partner in Leeds, Sage One and Receipt Bank Gold Partners and 1Tap launch partners. Our experienced and qualified team is led by partner, John Beevers. A chartered accountant and chartered taxation adviser, he is a member of the ICAEW Solicitors Special Interest Group and chair of the HCWA solicitors’ forum – get in touch with him today and find out how we can help you and your firm. Ark Aurora are a firm of Chartered Accountants and Chartered Tax Advisers based in the City of Birmingham. Being a Xero certified firm, means we are able to serve clients across the UK. 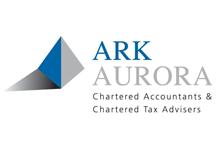 Whether you’re just starting out in practice or whether you’re already established, Ark Aurora provide a pro-active ongoing support service that includes help with day to day accounting, preparation and submission of VAT returns, client account reconciliations, preparation of year-end accounts, tax returns, a full payroll function and ongoing ad-hoc tax advice – all included within our fixed fee service. We have considerable experience working in the legal sector and, as a firm of Registered Auditors, we are well placed to help with your SRA reporting obligations. 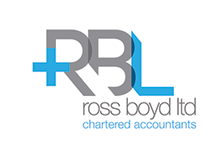 All new clients receive an initial business health-check that includes a 360⁰ tax review with our Head of Tax. The initial health-check also includes a review of accounting systems, processes and core business drivers. Understanding your business is key to providing a value added service and our initial findings are backed up with a summary of recommendations. Choosing the right accountant is as important as choosing the right lawyer. So call us today, ask for Bally Ark, and see how we differ.